Is Chula Vista a prime location for Amazon's next HQ? Local leaders want Amazon to know why the South Bay is a prime spot for its new headquarters. 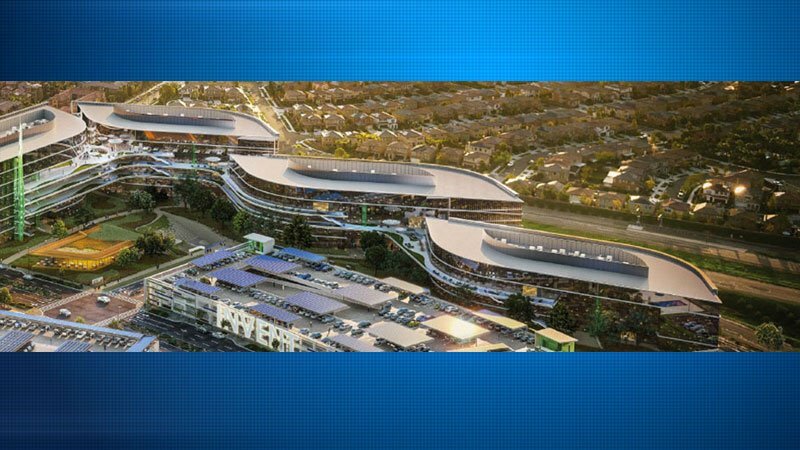 CHULA VISTA (NEWS 8) — Local leaders want Amazon to know why the South Bay is a prime spot for its new headquarters. The company is expected to spend $5 billion on its second campus, bringing 50,000 high-paying jobs with it. San Diego has already made its bid along with dozens of other hopeful cities. On Tuesday, Chula Vista’s City Council unanimously approved a $400 million incentive package for Amazon. The mayor says it’s a good use of taxpayers' dollars because it will be such a big economic boom. When you’re vying for the attention of the world’s largest online retailer, you have to bring a lot to the table. “We are very proud of putting our best foot forward," said Mayor Mary Casilla Salas. “Chula Vista has it all. It’s really a quality of life we have here that we can offer." Casilla Salas says besides the beautiful climate, Chula Vista is a smart city when it comes to energy, with a diverse workforce, and a lower cost of living. The proposed site is 7 miles southeast of Downtown adjacent to Otay Ranch Town Center. Not all mayors are jumping at the chance at Amazon's new location search citing Amazon’s emphasis on subsidies and incentives, with some calling it a bad deal for taxpayers. “Any incentive we offer will be returned back to us in terms of future revenues, we have no doubt about that," said Casilla Salas. Urban economics expert Amy Liu warns the chosen city could suffer some of the same issues now plaguing Seattle - Amazon’s original headquarters. "There are real trade-offs in being the winner," said Liu. "Seattle now experiences high inequality, not enough affordable housing to house workers." Chula Vista’s mayor doesn’t think that will be an issue here. "We’ve got everything from first-time condos that you can buy all the way to multi-million-dollar mansions," she said. “We have it all." Interested cities have until Thursday to submit their bids to Amazon. However, Amazon's second headquarters might not land in the U.S. at all. Some Canadian cities, including Ottawa and Toronto, are also submitting bids and Canada's immigration policies could help with international talent. The company is expected to make its decision next year, and will begin building its second headquarters in 2019.